Review: 2017 Gang Show. Nottingham Scouts and Guides. – East Midlands Theatre. Review: 2017 Gang Show. Nottingham Scouts and Guides. 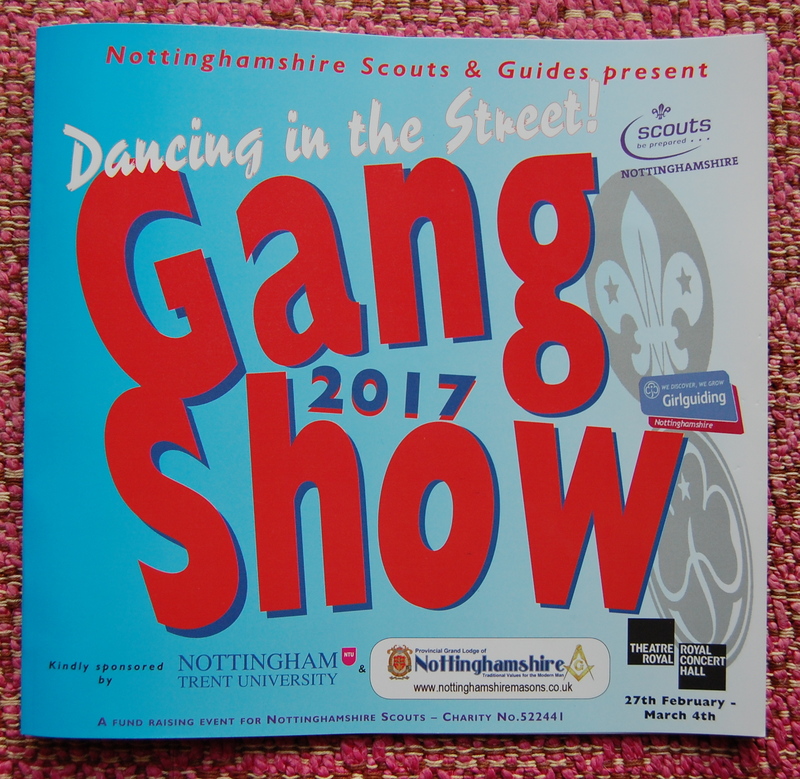 The Nottingham 2017 bi-annual Gang Show at Nottingham Theatre Royal is a triumph of enthusiastic talent from Scouts and Guides young and old. Despite some inaudibility in sections of the evening’s live entertainment, like the Gang Show mascot Laika the space dog, all the company show their pedigree and preparedness to do their best on stage tonight. Gang Show originator Ralph Reader would have been very proud. No doubt there will be a fair few proud parents and Scouting friends in watching all this week too. The various entertaining pieces in both halves are full of commitment and passion and laugh out loud moments at silly routines such as the daft soldiers in On Guard. And of course no Gang Show is complete without a rousing rendition of Crest of A Wave! The first half packs in a full to bursting programme including the vibrant opening medley Together Again. We continue with If At First; Leader of The Pack; the junior gang show their talents in Pure Imagination; Date Night and we conclude the first half with Night At The Movies and the lively At The Hop. The Muscular Dystrophy Support Group is the show’s chosen charity and from the crowds around the collectors tonight they should amply benefit from the audience’s generosity. The cast in the Nottingham Gang Show features one hundred and fourteen senior members with a junior gang ensemble of fifty-four plus their adult leaders. Gang Show producers/directors Annabel Alton and Christie Aslpin have certainly earned their proverbial Gang Show Mega-star badges in organising and rehearsing their Gang Show ensemble this year. The programme gives rightful credit to all the support offered by others during the making and performing of this bright and cheery evening of youthful entertainment. The second half highlights come thick and fast with the amusing Amateur Dramatics written by Mischief Theatre Company, At The Speakeasy, Chaos With Rhythm, I Need A Hero, Who’s In?, Gang Show does Woodstock, The Lord of The Loos and the emotional and uplifting Grand Finale. Being a part of the Scouts or Guides is a wonderful part of a young person’s life and being in a Gang Show or two not only equips the participant with confidence but will also give them a stepping stone into appreciating the theatre in all its forms first hand. If they are not already so, these talented youngsters will grow to be regular theatre goers at such terrific venues such as Nottingham Theatre Royal. The Gang Show runs at Nottingham Theatre Royal 27 Feb to 4 March. Bad Girls – the musical. Coming soon to Bonington Theatre Arnold. Nottingham Playhouse: FULL CAST ANNOUNCED FOR STEINBECK’S CLASSIC THE GRAPES OF WRATH. Promo: New production pictures and tour dates. Captain Corelli’s Mandolin play. Review: Come To Daddy. Living House Theatre. Lakeside. Nottingham University.